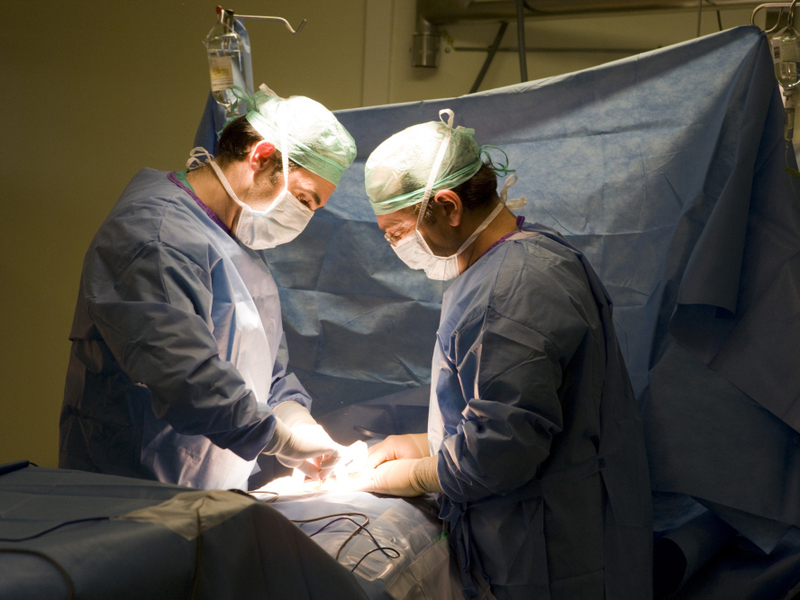 Doctors perform a kidney transplant operation in Spain in 2010. One in three people with kidney failure has antibodies that make it hard to receive a transplant, but a new treatment can get rid of them prior to transplant. Everybody knows there's a dire shortage of kidneys (and other organs) for transplant. Here's the math: Over 80,000 on the kidney waiting list, but only 17,500 transplants are performed annually. But there's another side to that coin. Thousands of patients with kidney failure have willing donors lined up among family members and friends. But they're just about impossible to transplant. That's because their immune systems are primed to attack foreign tissue. It can happen for several reasons. They might have had blood transfusions. They've had a previous transplant that failed. Or they've been pregnant, which exposes the mom's immune system to the dad's immune markers. All can generate antibodies against foreign tissue. Doctors call these patients "presensitized." But doctors at Johns Hopkins are desensitizing them. Basically, they're using a technique called plasmapheresis to cleanse antibodies from patients' blood before transplantation. After transplant, the patients get helpful antibodies to damp down the chances that the harmful ones will come back. A long-term study in this week's New England Journal of Medicine shows the method works. Among 211 patients who had the desensitization procedure, 81 percent were alive eight years after their transplant. By comparison, only 31 percent of a group of patients who stayed on dialysis were still alive, and 49 percent of another group who had transplants with conventional anti-rejection drugs or remained on dialysis. "It's really a very dramatic difference," Hopkins transplant surgeon Robert Montgomery told Shots. "There are very few things — medications or therapies in medicine — that can double your survival rate after eight years." They include patients like Lourdes Aguilar, a 39-year-old woman who'd had two transplants that failed. When the Hopkins group saw her, she was at the end of her rope. "Most people had kind of given up on her and had even talked to her about stopping dialysis and allowing her to pass," Montgomery says. "She would not have been transplantable without the desensitization procedure." "I was really, really, really hard to match," Aguilar says. "I was almost 100 percent highly sensitized. I was sensitized against the world. Believe me, every human being was not compatible with me." But now, almost 10 months after her latest transplant, there's no sign of rejection and her life is back to normal. "She looks great. She looks beautiful," Montgomery says. "Her hair has started to grow in. Her life is coming back together again. She's able to work. It's a great example of the miracle of transplantation." The Hopkins method is only for patients waiting for a kidney from a live donor — a relative, a friend, or a stranger whose kidney is swapped for a recruited donor through a kind of round-robin exchange called "paired donation." That's because doctors can't preserve kidneys donated after death long enough to do the blood-cleansing procedure. Patients need at least a half-dozen plasmapheresis sessions, every other day, before the transplant. Montgomery says there are about 6,000 transplant candidates on waiting lists who have living donors lined up. Each year there are 3,000 more. Now they can be desensitized and have the surgery. This means that, on an annual basis, desensitization could potentially increase the number of live-donor transplants by 25 percent. "We haven't really seen that sort of an increase in transplantation in a couple of decades," Montgomery says. Meanwhile, Montgomery and other researchers are devising desensitizing methods, using drugs, for patients who need a cadaver kidney. Dr. Stanley Jordan of Cedars-Sinai Medical Center in Los Angeles is a leader in that effort. He said results are also much better than conventional treatment. "People ask me, 'If this is such a great thing, why isn't everyone doing it?' " Jordan said in an interview with Shots. "I think one of the main reasons is that people may feel that these patients are too difficult to deal with, and we should just let them stay on dialysis." But dialysis isn't a happy alternative to anyone who's had to undergo the several-times-a-week blood-cleansing treatment. It causes a lot of wear-and-tear on patients, which shortens their lifespans. And it's expensive: around $85,000 a year, versus $17,000 for a transplant, according to Jordan. There's another reason, Jordan says, why medical centers have so far been reluctant to take on pre-sensitized transplant patients. They have a higher risk of rejection than those who have a good match in the first place. And insurers track how many transplants fail. So, Jordan says, many medical centers worry they'll lose their insurance contracts if they take a chance on these patients.